The first-ever World Poker Tour, which stopped at the Venetian in Las Vegas, has come to an end with $3,500 Main Event being the last one to wrap it all up. The name that popped up as the final winner was Ben Palmer, as he managed to win the Main Event and grab the first prize, which included $431,655 along with an entry into the Baccarat Crystal Tournament of Champions that costs $15,000. Palmer is an experienced poker player who managed to cash out in live tournaments 88 times before this one. However, it turns out that the 89th time was the most important for him, as he managed to win the biggest cash of his career. 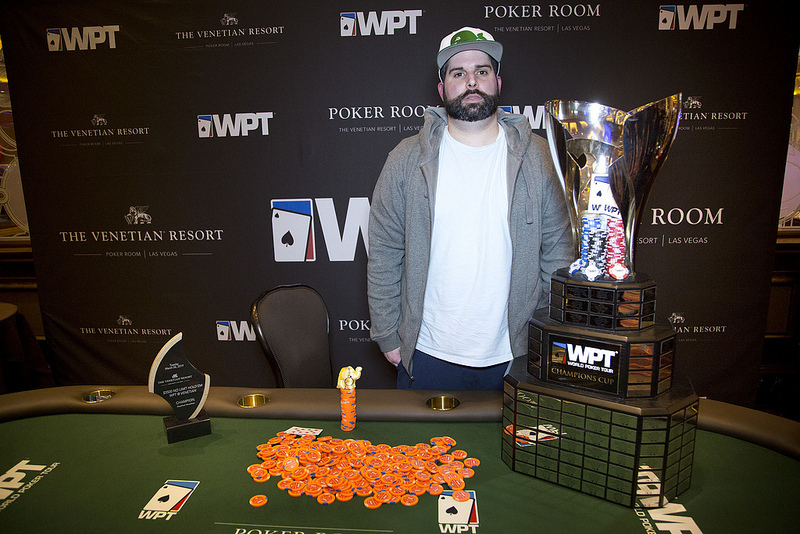 Palmer gave a brief statement for WPT officials, saying that the victory means a lot to him as the Venetian was one of his favorite casinos in Vegas where he spends a lot of his time. Before winning this event, Palmer had a total of $2.3 million in live cashes, and his best score was $189,975 at the 2008 Festa Al Lago Classic. Other important moments in his career include winning $185,426 as the third-placed player in the 2013 World Series of Poker Event #11: $2,500 NLH 6-Handed. Furthermore, he also managed to end up in second place in the 2018 WSOP Circuit Planet Hollywood Main Event where he won $118,849. Finally, we should mention $91,052 which he won in the WSOP Circuit Planet Hollywood Main Event. First of all, some of the players who managed to get paid in the event but did not make it to the final table include Tony Dunst, Maria Ho, Freddy Deeb, Nick Jivkov, Eric Baldwin, David Williams, and Aron Massey. The last days of the event began with nine players returning to the game, but only six of them made it to the final table. The first one to hit the rail in sixth place was Will Givens, who managed to win $87,760, and he was followed by Mar Ioli, who snatched $115,105. Orlando Barrera ended up in fourth place for $152,690, and Danny Qutami was third, winning $204,810. The heads-up play was between Tony Gargano and Ben Palmer. The last part of the tournament lasted for quite a while as the two players were pretty equal in chip number. It all ended on Hand #268 as Palmer managed to gain a huge chip lead by that time, one chip at a time. In the last hand, Gargano jammed with ace-four and Palmer decided to call, holding queen-ten suited. Therefore, Palmer managed to make two pairs and Gargano ended up in second place, winning a total of $277,760. According to the official numbers that WPT provided, this was the longest-running heads-up play this season.